Tone your body, mould your figure and bring out your most inner femininity. Sensuality, femininity, beauty, emotion, sweetness.....express these sensations through a unique and fascinating experience called Belly Dance. An extraordinary dance that unites magic and mystery that once you try it, you can't live without it. Take the first steps to bringing out your inner sensuality, where time stands still, and all your daily problems and worries disappear. You will leave each class feeling tired but at the same time happy and very, very sensual. Ideal for all of those that don't yet know this type of dance. Intensive exercises to correct posture, which is fundamental for your health, also working isolation and body control, molding and toning your body. 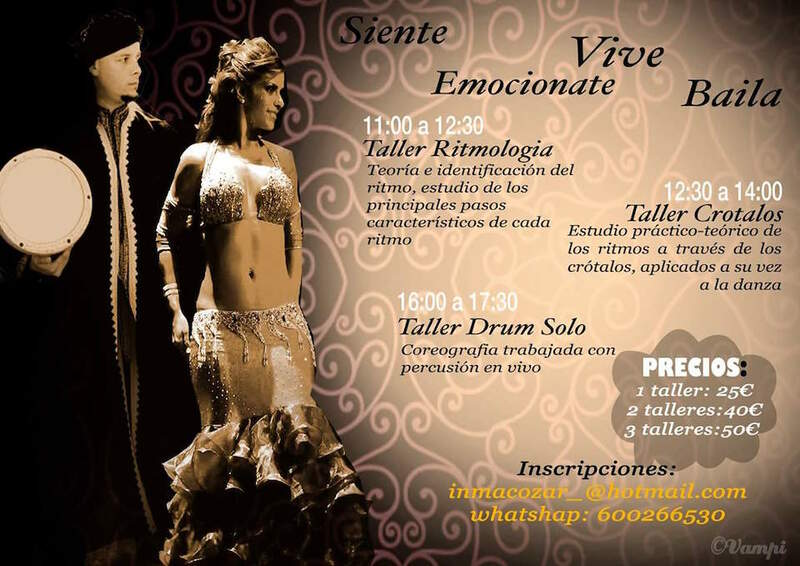 We focus on the first types of Belly Dance and finish reviving even more your sensuality with Velo exercises. Ideal for ladies that have danced Belly Dance before. 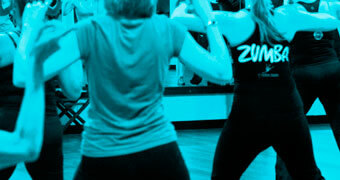 We work on technic and rhythm, with body control and with each type of belly dance. 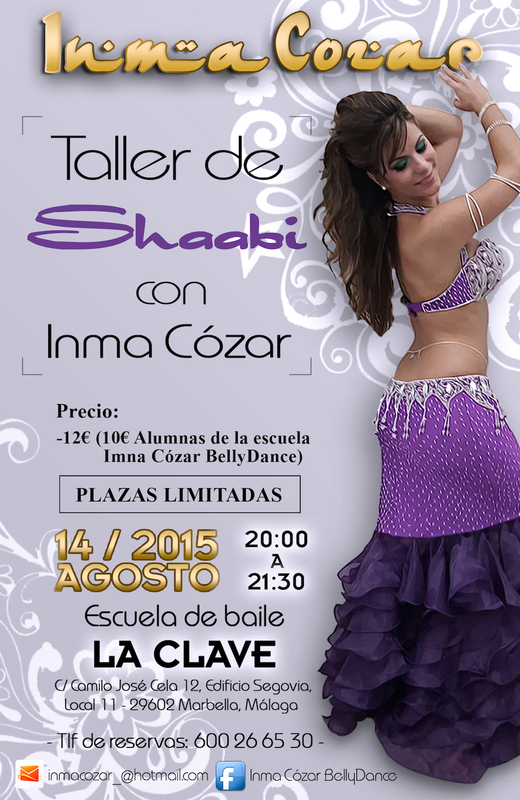 Inma is our belly dance teacher and also the most sensual in the school! 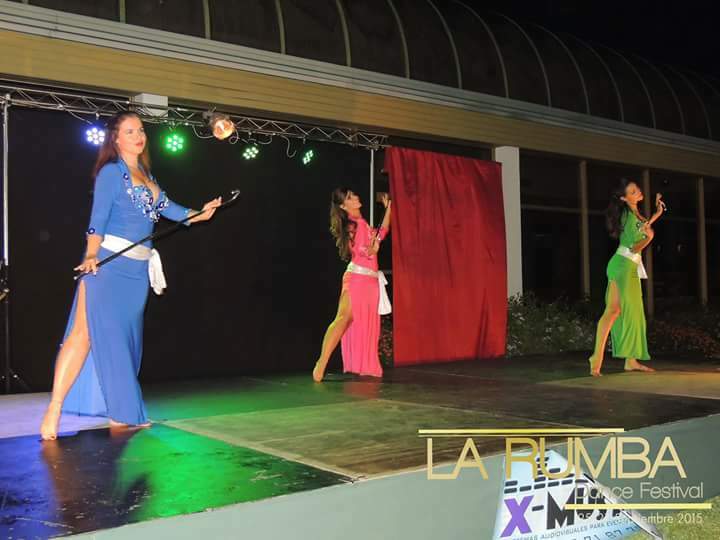 She has been dancing now for nearly 13 years and is considered as one of the best dancers in Andalucia and is recognized nationally. She is regularly invited as a special guest to various events and dance festivals. She was chosen to form part of two of the most well recognized and prestigious dance groups in Spain.